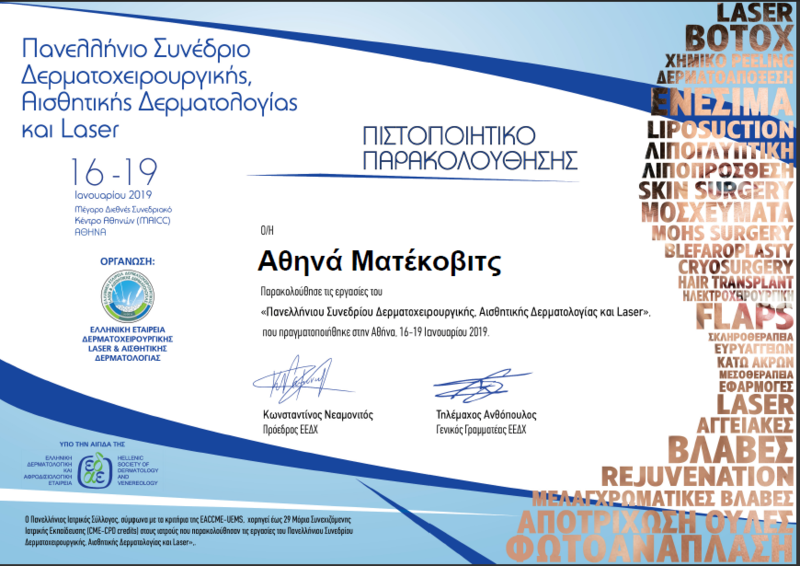 The National Congress of the Hellenic Society for Dermatologic Surgery, Aesthetic Dermatology and Lasers took place in Athens, 16-19 January 2019. With a rich scientific program and the contribution of Greek and international experts, the congress was an absolute success. Dr. Athina Matekovits, as a member of the Hellenic Society of Dermatologic Surgery, attended sessions on fillers, botulinum toxins, cryosurgery and laser treatments.